Why is health inequality important? Not only does health inequality result in a shorter life-span but the period preceding death is more likely to consist of periods of ill-health and disability. Accompanying this are increased costs for health and care services, with prescription medication, hospital admission and care costs. A small shift towards improved health for the population whose health is worst would have a large impact on services. Some of this pattern is the resultof an NHS which is focused on treatment rather than prevention and early diagnosis – a “sickness service” rather than a health service. scenario 3: fully engaged – levels of public engagement in relation to their health are high. Life expectancy increases go beyond current forecasts, health status improves dramatically and people are confident in the health system and demand high quality care. The health service is responsive with high rates of technology uptake, particularly in relation to disease prevention. Use of resources is more efficient. The financial modelling showed that option 3 – the fully engaged scenario – was the most cost- effective. This includes full engagement of the population in the self-care of long term conditions as well as health improvement. In his conclusion, Wanless said “Evidence-based principles need to be established for public health expenditure decisions. In consultation, the possible benefits of increased investment in health promotion and disease prevention were stressed. As the Review’s model illustrates, lifestyle changes such as stopping smoking, increased physical activity and better diet could have a major impact on the required level of health care resources. Given the projected increase in old people after 2022, as post-war “baby-boomers” reach old age, the potential benefits could be especially attractive”. Recognising the benefits of prevention and people taking much more personal responsibility for their own health, Wanless noted: “If there were to be more success in implementing public health measures then the long-term costs of health care treatment could be limited”. 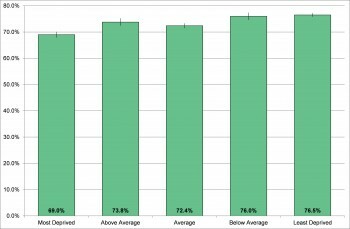 Our understanding of health inequality suggests that people whose health is worse are more likely to persist with unhealthy lifestyle choices (Figure 4.01); be less likely to take up screening and immunisation (Figures 4.02 and 4.03); seek help later when things start to go wrong (Figure 4.04) and are more likely to end up in hospital (Figure 4.05). We therefore need to constantly challenge ourselves to target our efforts at those with the greatest need. 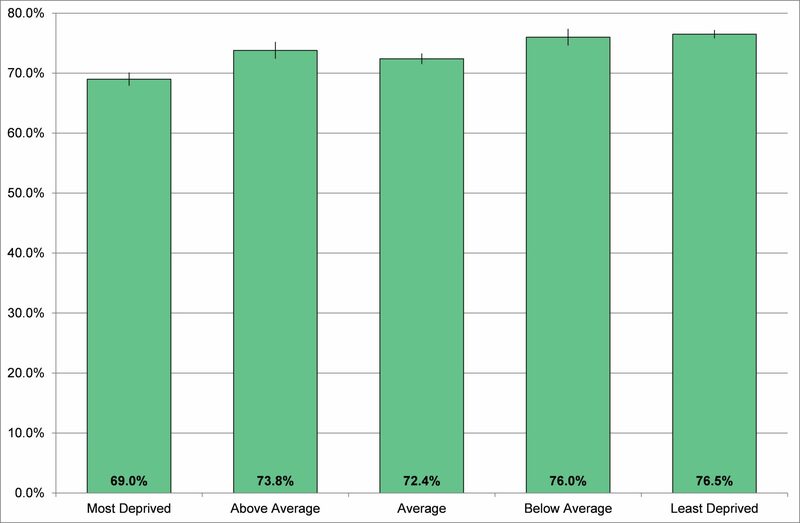 Figure 4.01: Adult Smoking Prevalence by Deprivation, England, 2012. 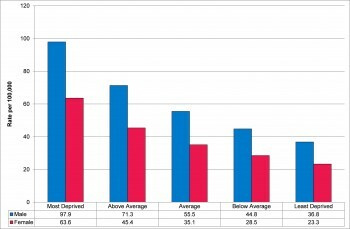 Source: Office for National Statistics General Lifestyle Survey, 2012. 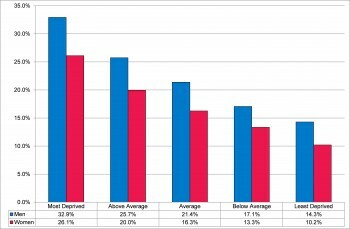 Figure 4.02: Uptake of Cervical Screening by deprivation, 25 to 49 year olds, England, 2008 to 2011. Source: Hughes et al, 2014. 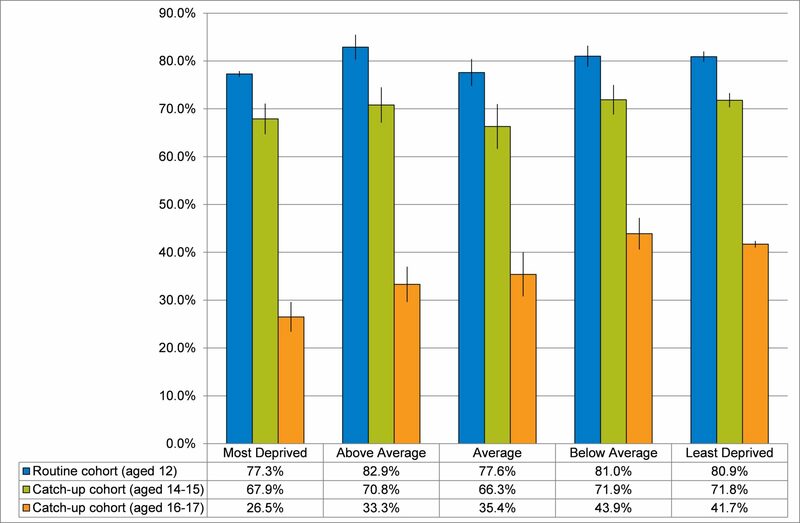 Figure 4.03: Human Papillomavirus Vaccination Coverage Rates by Deprivation, Routine and Catch-Up Cohorts, England, 2008 to 2011. 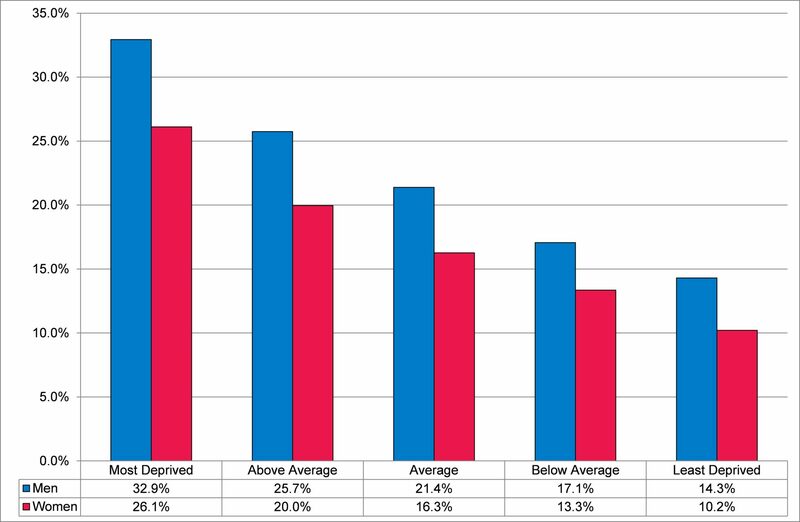 Figure 4.04: Lung Cancer Incidence by Deprivation, direct age standardised rate per 100,000 population, England, 2012. 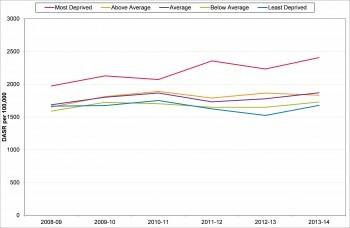 Figure 4.05: Trend in emergency admission following an accidental fall by Index of Multiple Deprivation national quintile, direct age standardised rate per 100,000, Devon, 2009-10 to 2013-14. Examining Devon’s vital statistics (in chapter 8) shows how important early awareness of disease and seeking treatment is. Devon’s population is generally very healthy, with most causes of death and years of life lost through an early death being much lower than elsewhere in the country and definitely well below average (table 10). However Devon’s standardised mortality rates (SMRs)[The SMR adjusts for the effect of the age structure of the population on the numbers of deaths. For example, places with high numbers of elderly people have more deaths. The SMR therefore enables direct comparisons to be made between places with different proportions of people in the different age groups.] are statistically significantly higher than average for malignant melanoma (men and women), prostate cancer (men), cerebrovascular disease (women), accidental falls (men and women) and suicide (men and women). For all of these conditions there is an early intervention to prevent injury, illness or premature death. If years of life lost early to death are considered, as shown in Table 11, chapter 8, then the impact of modifiable factors such as smoking as a cause of premature death can be seen (as large numbers of these premature deaths will be smoking–related). One interesting point in Wanless’ report (page 46) is “Preliminary analysis by the Department of Health suggests that if all social classes were to match class I’s prevalence of Limiting Long Standing Illness [long term condition], hospital admission rates would fall by 6 per cent.” But he also notes that “There is always the challenge that our interventions extend life, but not healthy life, resulting in a greater burden on health and care systems.” More on this later…. R4.1 The NHS should commission for prevention, working closely with local authority public health. R4.2 Public health, health and care interventions should explicitly recognise the importance of socio-economic deprivation as a marker for worse lifestyle, low uptake of preventive activity and later presentation with illness. 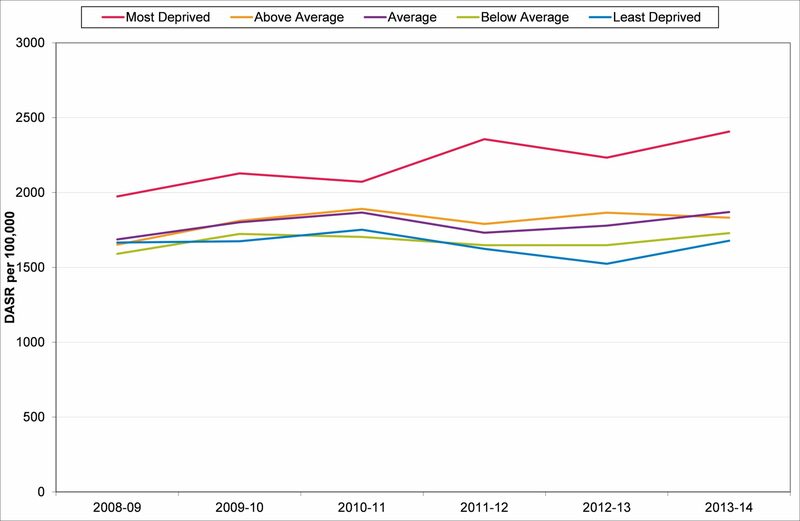 R4.3 The effectiveness of early intervention measures should be assessed for those conditions where Devon has a statistically significantly higher death rate than nationally.